Convert video to MP3 with top quality. Trim audio to keep the wanted part with one click. Fast, free and requires no signup. Extract audio segment from video files and save as MP3, WMA, WAV, iPhone Ringtone and more formats so that you can use them in various kinds of audio devices and audio editing apps, saving you the effort recording lossy sound from video. 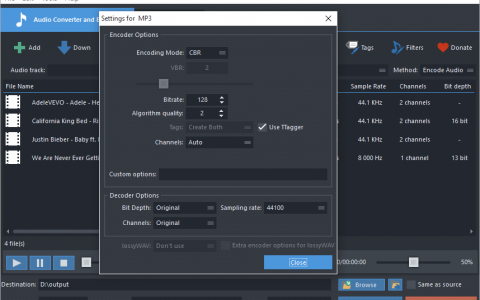 You can extract audio from MP4, AVI, WMV, HD, MKV, 4K, MOV, FLV, F4V, VOB, DivX, WebM, 3GP, and 300+ popular and rare video formats. Audio Conversion between 50+ audio formats like MP3, WAV, OGG, M4A, FLAC, is another surprise. It will batch process up to 16 extractions/conversions simultaneously! Free Video to MP3 WMA Converter is able to remove the unwanted parts from your audio by trimming. Now you can delete the silence at the beginning/end of a recording, save only the most splendid part of a song to use a ringtone, etc. With Free Video to MP3 WMA Converter, getting music for the right music players has never been easier! This smart video to audio converter app would help you get the music that would be played on any MP3 player, Zune, iPod and more. Now, enjoy your wonderful music anywhere and anytime! 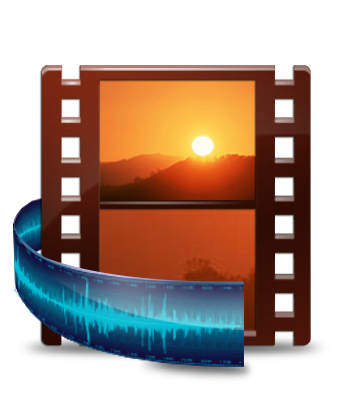 It makes a fine solution for simple extraction of audio from AVI, MPEG, ASF, WMV and many other video clips. It has a bright and cheerful design. Once we add a file, we just select the preset to adjust quality. The conversion process itself is extremely fast and it can cut smaller selections from larger files. 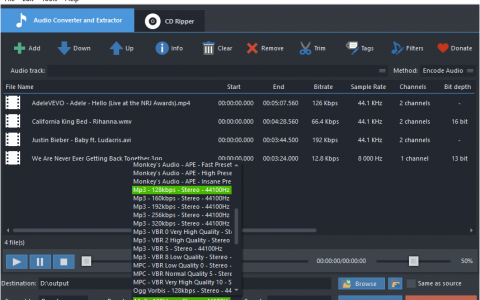 Happily, the program will be ideal for those folks who want to extract audio files in bulk, without any limit. 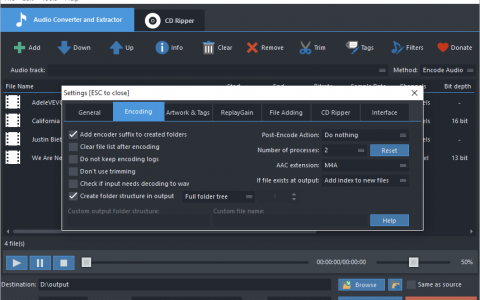 If you have audio CD collections that need to be backed up, the integrated CD ripper can rip audio tracks to audio files to save in PC and play on any device. Free CDDB is supported so that you can get all detailed info of the album and each track within. 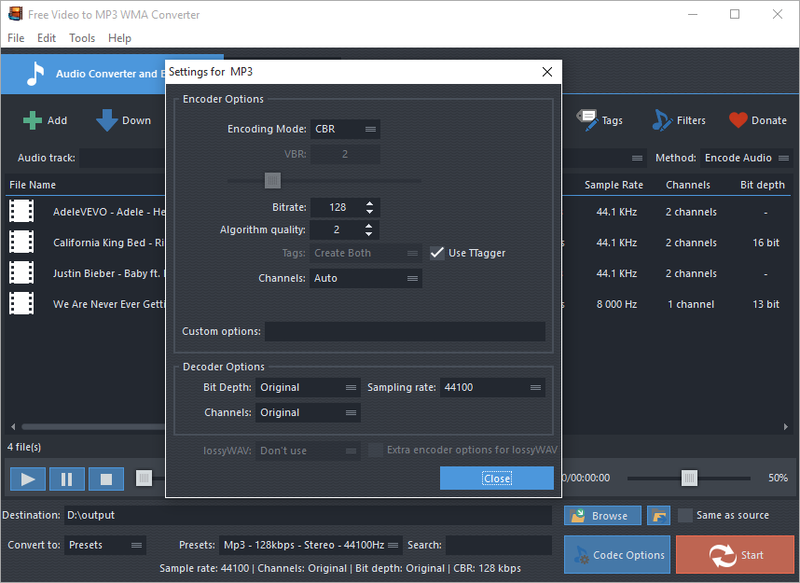 Free Video to MP3 WMA Converter is able to join audio files in multiple formats to a single audio file, making it possible to create endless and gapless playback from collection of your favorite songs and music. 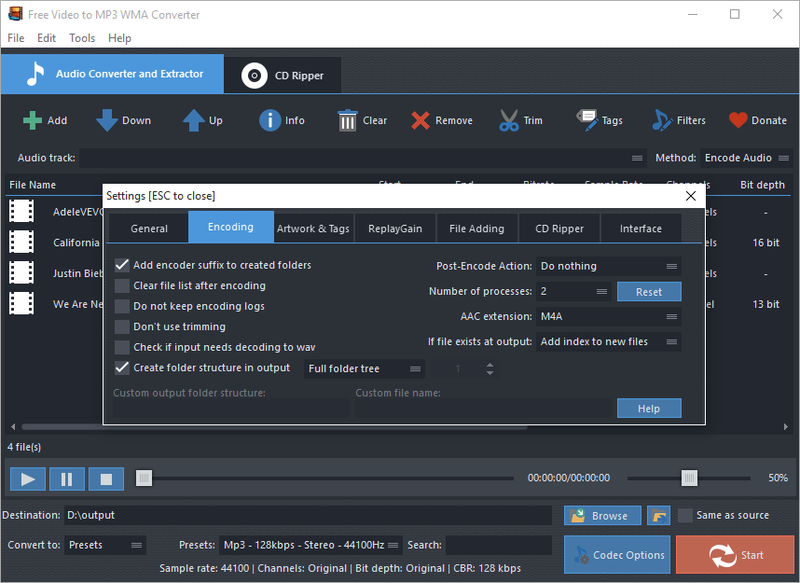 This video to audio converter can apply effects and filters during conversion: add ReplayGain, normalize, change volume and speed, etc. to make your audio stylish. No need to use an audio editor for fast enhancement. 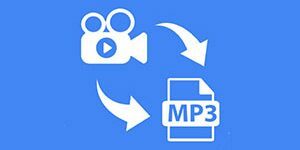 Free Video to MP3 WMA Converter works for 100% free, without any malware or other strings attached. With the brainlessly design, it is much usable for users who don’t have time with complex terms and parameters.